What a plan! I love your colours and can't wait to see your new garments. What awesome colors! I almost can't wait to see your finished projects! I learned the hard way to always keep my clothes stored for a long while after I would lose weight and ditto for the ones that I outgrew. Being petite every thing I don't sew has to be altered which is a real pain. I love that you are sewing new stuff and you have some beautiful fabric and patterns matched up. I hunted down your tnt pants pattern and had forgotten about it. I remember really liking how it looked when you made it up before as most of the larger sized pants patterns have really full legs. I need to shop for some knit pants weight fabric and give it a try. I found some petite pants at a macy's that fit fairly well so have been wearing those and another brand from the mall but need to commit to getting that pants pattern fitted up. Hope you find your t shirt pattern. I know how that feels. I lost a pj pants pattern for one seams that I loved so much that I had all the fitting kinks worked out and I am still sick over the loss. The new pj pants I sewed don't fit nicely in the legs like the old pattern despite a lot of fitting work. sigh I too can't wait to see your new pieces. I've battled weight my entire life, so I know your distress very well. I do believe though, that it's essential to dress yourself well, especially when you may have some extra poundage. If anyone needs a self-esteem boost, it is those of us who have difficulty with our image. Sew, make beautiful things. You are a beautiful person and worth it. 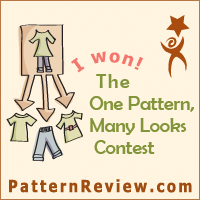 Love all the patterns and fabric you've chosen. Can't wait to see the finished products. You really have it all planned out; I admire that so much. I'm so ADD when it comes to sewing it seems. The colors are fabulous. Can't wait to see the finished wardrobe! Love the fabric choices as well as your chosen patterns. Great plan! How exciting! Love your fabric choices. Can't wait to see it all done up. Great plan you have going there Sherril. Looking forwarding to seeing it come into being. I love the patterns and fabric choices. Can't wait to see your new collection. Love all your fabrics and your inspiration!! Good luck with your new wardrobe! I'm sure you will end up with some wonderful new pieces. What a great wardrobe plan! 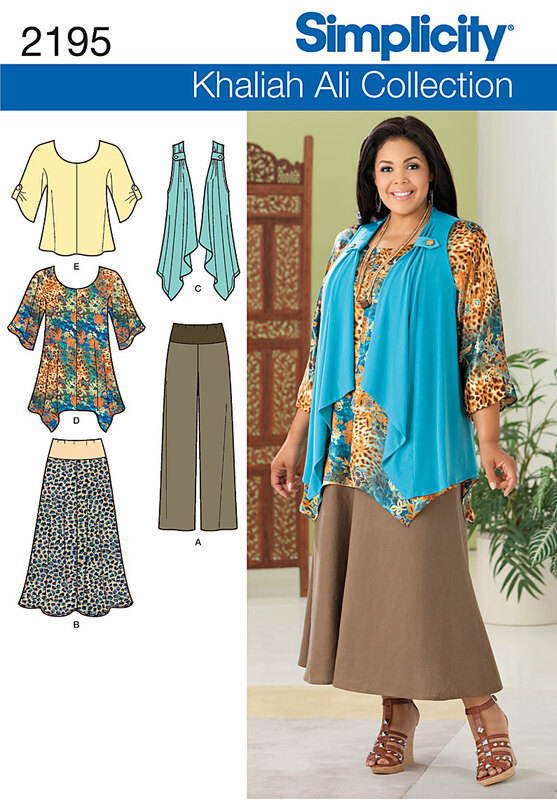 And so smart to choose pieces that will be easy to sew and won't require too much fitting. That way it won't feel like the plan is dragging on and on and getting boring. Beautiful fabric choices, Sherrill. They will make for some great pieces! 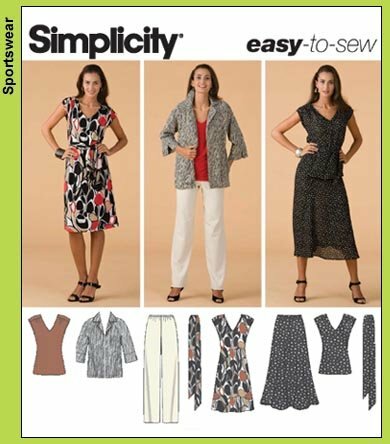 Have you ever tried Kwik sew patterns you make them the size you want and they have a master pattern you use I love them and also Stretch n sew patterns.You use something called do sew ? as the pattern piece material. You can alter easily.I love them for knits used them for 30 yrs now both. Hi! Miss hearing from you............hope all is well! I love your plan!!! Can't wait to see the finished garments!